It’s guest post Monday! This post is written by Brian Wright. Brian is the host of the internet radio show Success Profiles Radio at 6pm Eastern every Monday night (I recommend listening tonight). He is also the author of the book Student Leadership Strategies: 21 Easy Ways To Become A Center Of Influence In Your Group. If you would like to be featured as a guest poster on my blog click here. There are many books that have made a difference in my life. One of them is by Tony Robbins, and it’s called ”Awaken The Giant Within”. He shares that the quality of your life is determined by the questions you ask. He explains that our worldview can be defined by the life metaphors we have. For those of us who haven’t been in an English classroom for awhile, a metaphor is a way of explaining an unknown by comparing it to a known. For example, some people may believe that life is a game. For those who think that life is a game, there’s a good chance they see life as being fun, playful, and adventurous. There can be a downside to this metaphor, however, because it can also mean that there is always a winner and a loser. In other word, life could be seen as a zero-sum game. I don’t necessarily think that’s true. For others, life is a dance. If you have ever watched “Dancing With The Stars” or “So You Think You Can Dance”, you can see that some people move through life full of expression and joy. For others, life is a battle and is meant to be a struggle. Last year (2011) wasn’t much fun for many of us, but if we EXPECT life to be a battle, then it certainly will continue to be. 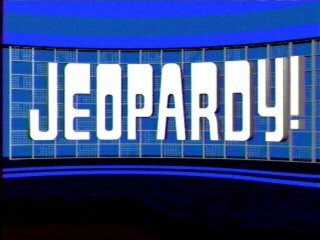 My favorite metaphor is “Life is like a Jeopardy game”. All of the answers are on the board, the winner is the one who asks the right questions. There is a baseline assumption that all of the answers are available, which I LOVE because that means no situation is completely hopeless. There IS an answer for everything. Sometimes the answer is obvious, and sometimes not…but the answer is there! Robbins’ idea that the quality of your life is determined by the quality of the questions you ask is certainly accurate and profound. Outstanding achievement in any field is determined by asking a better question than the one that got you where you currently are. Question: How do you see life as? I see life differently and try to in order to be sure I have a proper perspective. I usually see life in a Biblical metaphor; a race, a journey, a gift, an opportunity, and temporary place with our purpose while here being to make a choice about where we spend eternity. I think it’s great to contemplate our lives, but the wisdom doesn’t come from the outside. The self help gurus tend to address the temporary things and the things of the physical realm, which is good for a season of this life, but rarely gains the spiritual perspective that gives a life of peace and joy with the truth of the everlasting on in God. Thanks for sharing this, Floyd! Life is definitely a gift and an opportunity to use God’s gifts in a wonderous way. Have a terrific day! Just kidding – couldn’t resist. Seriously though, I like to think of life as a preamble. This is just a short blip on the radar before eternity, and it’s wise to live accordingly. Definitely agree, Loren! This is preparation for the great things to come. Have an awesome day! Great song Loren. So true, it a short time and then we get to spend eternity with God. I really like this view of life. The answers really are on the board or in the Book. I agree, Joe! I appreciate your input. Have a great day! I am with you on this Joe. I like how that was said with the answers already on the board. Great post here Brian. Thanks, Lincoln! I appreciate your support. Amen Joe. Thank you for reading. That’s great Ngina! It can certainly be difficult. Perspective is everything, and it really does shape our perceptions and consequently the responses to everything. God bless! I view my life as service to my Lord and to others Great thoughts. Thanks Kimanzi, I appreciate your feedback. Definitely a great way to view life! Great way to see your life. Keep doing great work bro. For me, life is like gazing at the stars in the night sky. Sometimes there are bright stars that draw all the attention, sometimes it is the pattern that the stars make that grab my attention. It is about the diversity and beauty of God’s Creation. The night sky is always different, depending on the time and season, and that reminds me of the opportunities and possibilities God has laid out before me. And then there are the times when clouds obscure my view of the sky, and God reminds me that even though I cannot see them, the stars are still there. Susan, great perspective. Thank you for stopping by and reading.